what is the make and type of filament ? It really depends on the chemistry. Some TPU’s don’t need drying. The manufacturer should make some kind of recommendation. I was just watching 3D Nerd yesterday and he put his flexible filament in a food dehydrator to extract moisture. Apparently if the filament has absorbed moisture it bubbles on the way out of the nozzle which makes the print uneven. sure. this should be only needed on filament that has been sitting out in the open for a while. 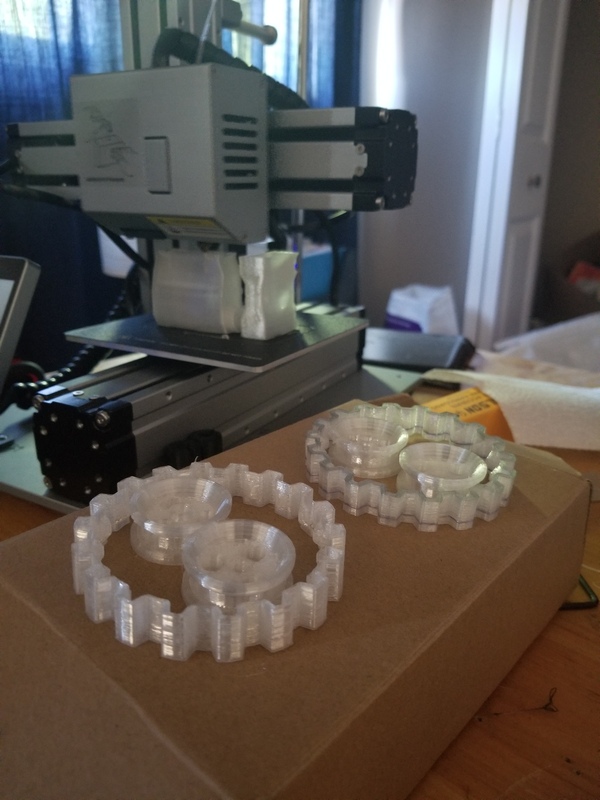 i printed one out in PETG and got it put in there, im trying some test prints right now! For me it’s not working yet. Trying in combination with Renkforce TPU. The part fits in there fairly neatly but does not suffice to guide the flexible filament - 25mm / 1 inch from the nozzle it kinks. Time for further improvements! What filaments can the Snapmaker print without a 3rd-party extruder? I’ve done PLA, PET/PET-G so far. I suggest materials for temperatures below 80°C for the heated bed (higher temperatures than in the specification) and 240°C for the nozzle (the PTFE lining inside the heat block will be destroyed in short time over 245°C) and I don’t think Nylon or Polycarbonate will work at all. Flexible filament is not working (I’ve tried it) without modifications. That’s a little unfortunate. It cost us £900 just for the printer and enclosure, so it’ll be a while before we can afford Simplify3D… perhaps by then, Snapmaker will have made a print head actually suitable for TPU/Nylon. I was also interested if it can handle PET’s cousin, CPE. There are some good filament dryers out there; we went with Polymaker. Why you want to see the negative in all things? You can print so many materials with the Snapmaker and if you need to print TPU, there is an printable upgrade out there. I haven’t tested it but others successfully did. Of course you can buy nearly the same like PETG for 50% more money from Ultimaker. I don’t use a filament drier storing the about 40-50 spools (PETG, PLA, PVA and TPU - I have 2 Snapmaker 3-in-1 and one Ultimaker Mk3) just in the cardboard boxes they came with. Never had any problems. If needed you can put the filament spool (in a cardboard box, without the plastic bag) onto the heated bed for about 2 hours at 45-55°C (dont use a household oven) - and save the money. @rojaljelly I meant no disrespect. As an absolute beginner to 3D printing, I recognise many users on these forums have either spent a year with the Snapmaker (thus have a working knowledge of its limitations) or, better yet, owned other systems beforehand. I also knew I may have to augment it with 3rd-party extruders. However, soon I will be returning to studies on a part-time Masters’, which will be teaching us using Stratasys and Makerbot printers. In any case, though I will mostly be using PLA right now, I don’t see myself purchasing more than one dryer. @stickyiggy do you use the modification/adapter printed from ABS? I ordered the adapter from shapeways made from metal. But since adding it to the printer, printing TPU is impossible as it seems the clamping force is not big enough. I don’t have any problems printing PLA though. It does not make much sense to force the melt through the nozzle when it is too cold to bond with previous layers. Es ist nicht sehr sinnvoll das Schmelzgut quasi mit Gewalt durch die Düse zu pressen, wenn es dann zu kalt ist um sich mit vorherigen Lagen zu verbinden. The problem with the snapmaker extruder is, that flexible filaments are pressed inside the hollow parts between sprocket, coldend and/or the ball bearing providing the pressure on the filament. So i modded the extruder with PTFE hoses on inlet & cold end, from the inlet all trough to the brass nozzle. 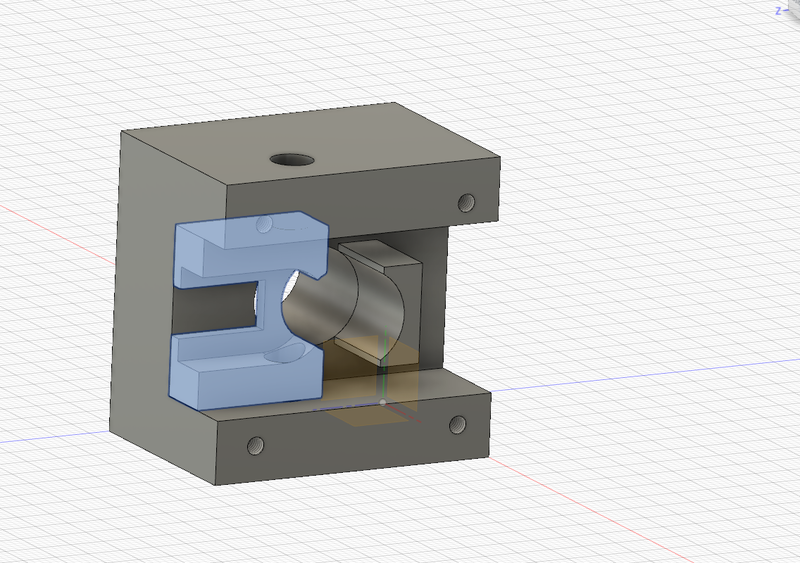 Then i created my own adapter, which is filling the hollow parts of the extruder. With the last 3 Filaflex prints everything went well and nothing was shoved and jammed inside the extruder. Prints heights down to 0,1mm were ok, 0,06 mm did not went well. Since i use a detachable Buildtak flexplate on the snapmaker, i decided to flip the flexplate to the stainless steel side when printing filaflex… this stuff is sticking to the printbed surface so heavy, that i ripped off a part of the printbed (which was the motivation to switch to buildtak). Works pretty good too. Hello @Henning , I find your design to be very interesting, I download it and I´m trying to print it in PETG, I wonder if this is going to work or the temperature from the nozzle will make it all soggy and jam my snap maker. I don’t know if you have any particular instructions to install it, I will follow @jjestings fotos to do it and see what happens and report back to the forum. This has been nothing but a nightmare and of course JJ is not free anymore. I am going to try out Hennings and see what happens.